Using insteon or UPB lighting products can be very reliable when implemented properly. A good understanding of how these devices work in a real home environment should be examined closely before using them in an actual automation control system. 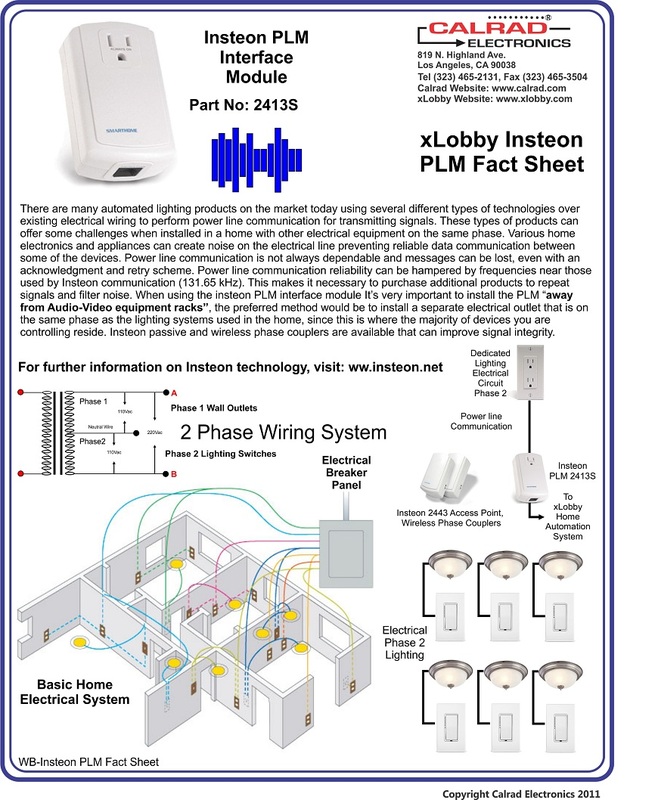 I created the Insteon PLM Fact Sheet because many installers needed a better understanding of how important it is to design create and install these types of technology in a home, careful planning and testing is vital to the installation process. 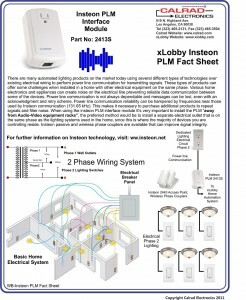 The insteon PLM interface module is the gateway for communicating with all of the devices in the installation. If there is lot’s of noise or poor communication signals to the PLM then the system will not perform reliably or intermittently rendering many of the devices useless and inoperative causing the customer to have ongoing problems with the control system. This entry was posted on Tuesday, April 12th, 2011 at 2:30 pm	and is filed under Uncategorized. You can follow any responses to this entry through the RSS 2.0 feed. Both comments and pings are currently closed.